We are Totnes BSAC. Welcome to our website. Totnes BSAC , one of the biggest and friendliest dive clubs in the country. We are here to help people get together and go diving. We are a branch of the British Sub Aqua Club. Our branch was formed in 1973 and currently has around 100 members from all over the local area and beyond. Our members dive for the love of the sport. We aren’t a commercial dive centre so all our fees go towards the cost of our members’ diving and maintaining club equipment and facilities. Our trained instructors and dive managers are all volunteers. South Devon is one of the best places to live if you are a diver. 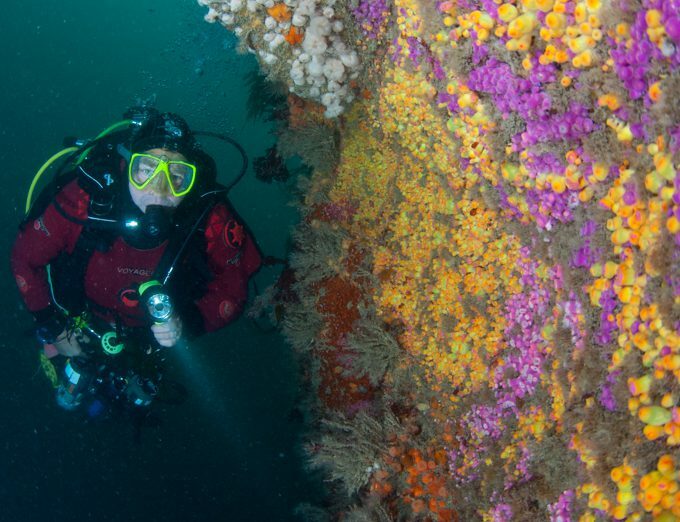 Enthusiasts from all over the UK come to the West Country every year just to dive off our coast, where underwater visibility is sometimes as good as 20-30 metres and the water teems with colourful marine life. 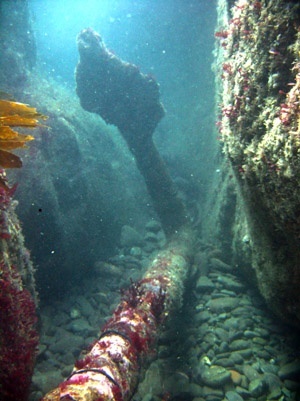 The area has as much to offer underwater as it does on land, with spectacular underwater scenery and fantastic local shipwrecks waiting to be explored. Our club owns two RIBS each fully equipped with radio, echo sounder, electronic navigation and safety equipment. We keep them in a purpose built boatshed, alongside our 4WD towing vehicle, air compressor, training and safety equipment. New members are always welcome. From complete beginners who want to learn to dive, to experienced divers looking for an active club with a varied dive programme, Totnes BSAC is the place for you. We welcome visiting divers from all diving organisations. If you have a valid diving medical and third party insurance why not come for a dive as a guest and check us out?